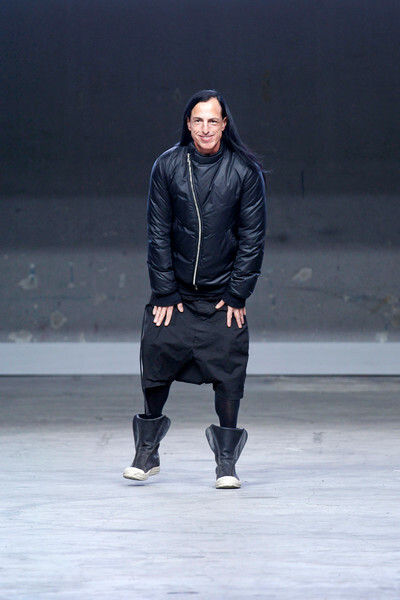 All the right ingredients for the perfect Rick Owens cake were in the mix today. 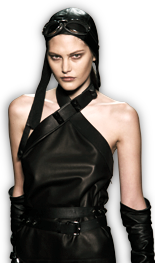 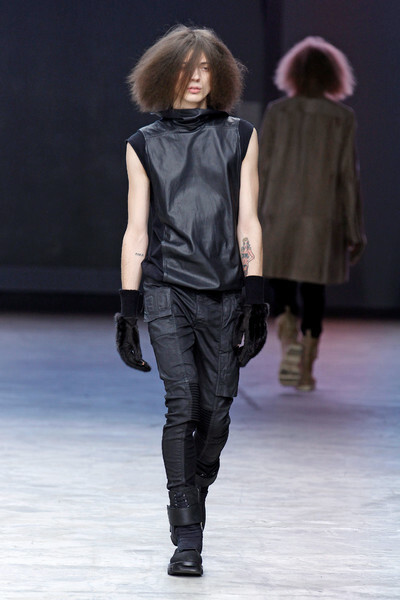 His signature black and white color palette, his sleeveless tops, the use of leather, the belted jackets and the long tops. 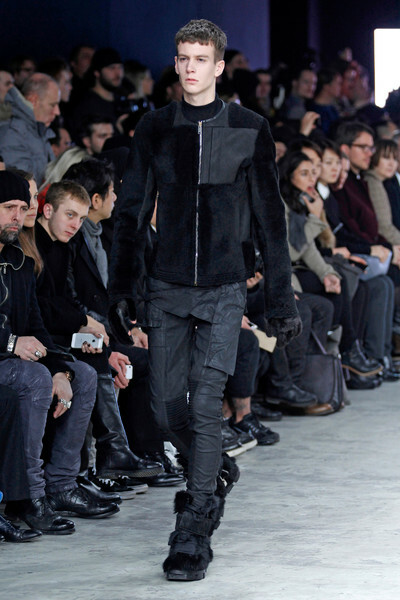 But we were surprised too. 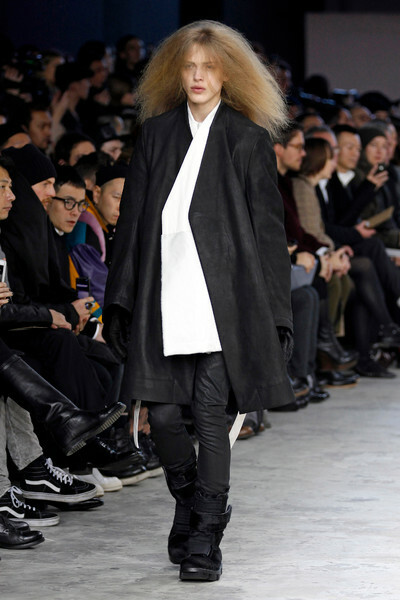 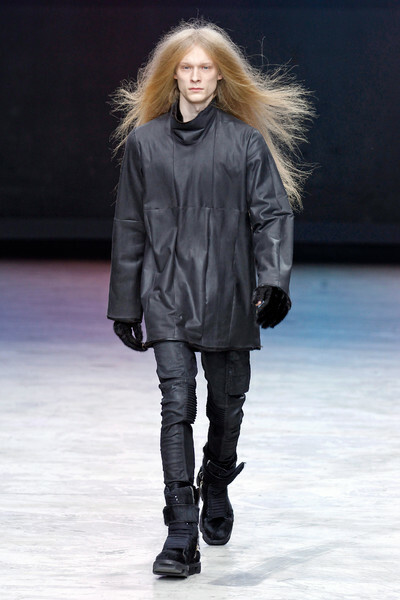 By the models big hair to begin with, not to mention their snow proof Ugg like boots. 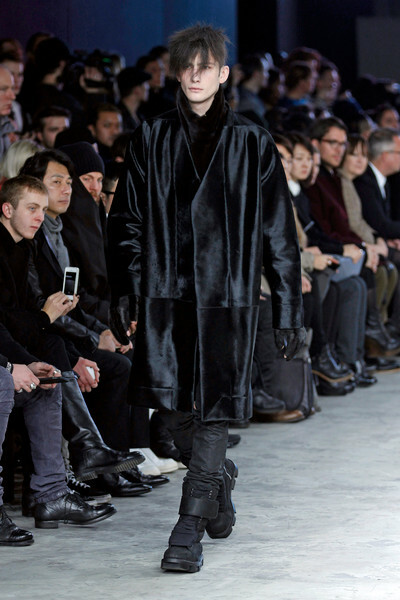 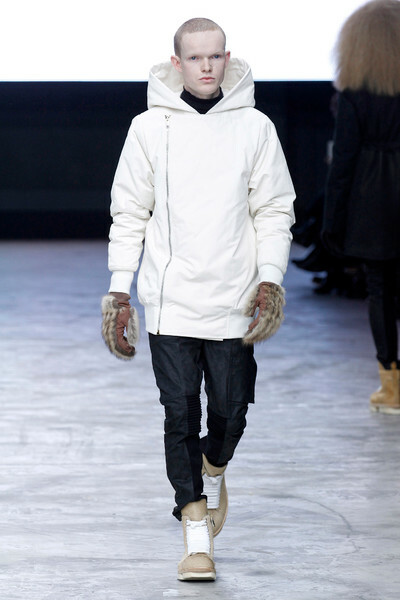 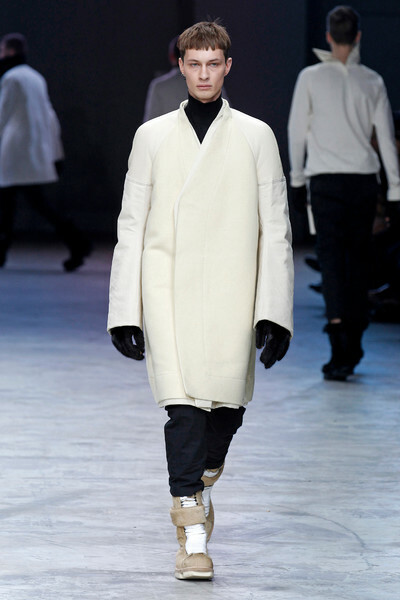 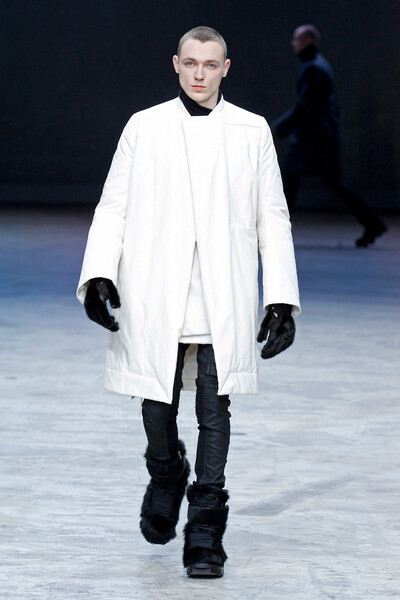 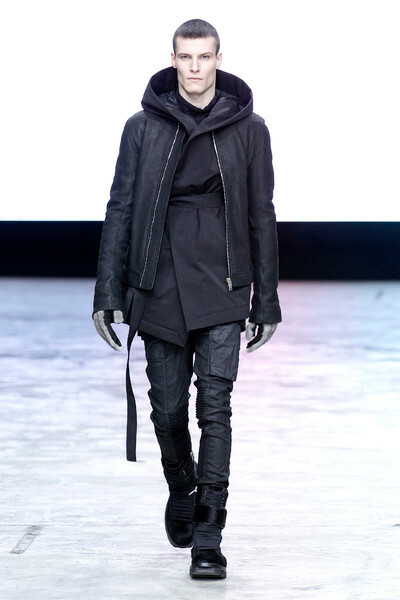 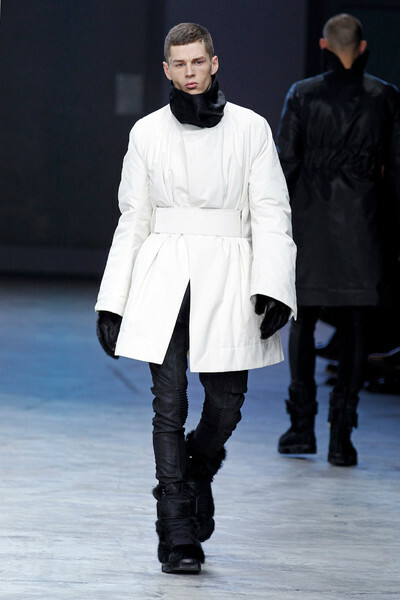 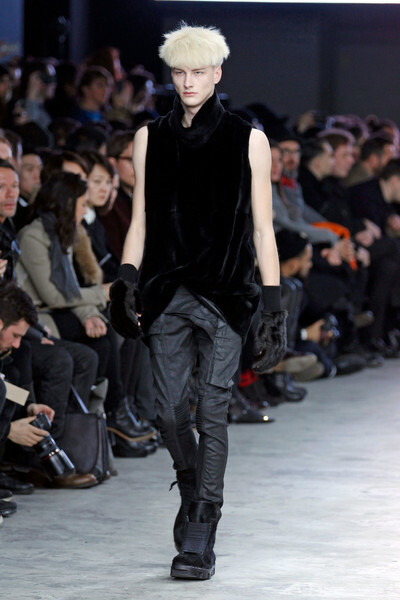 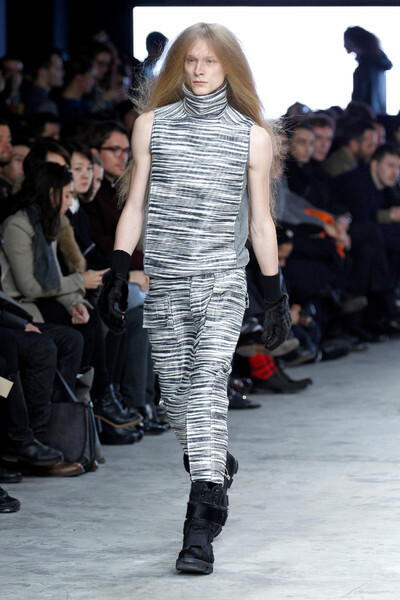 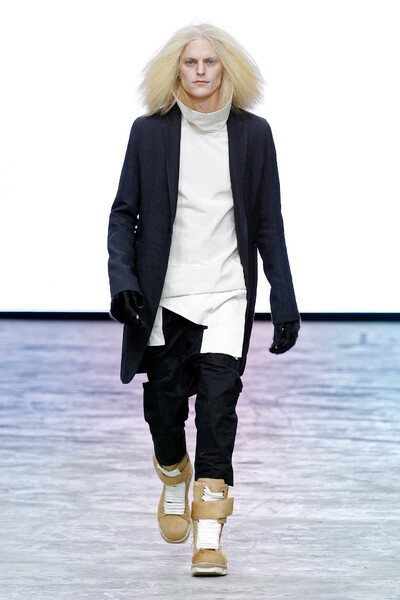 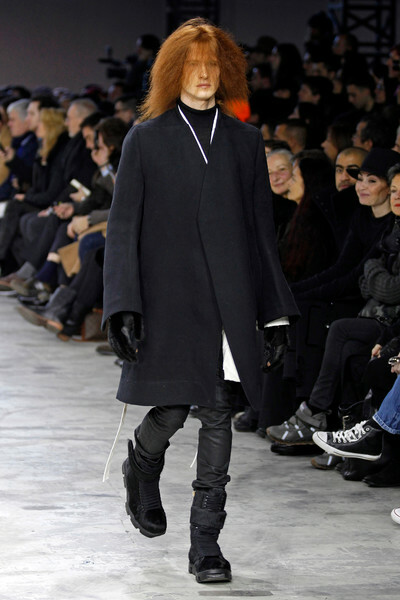 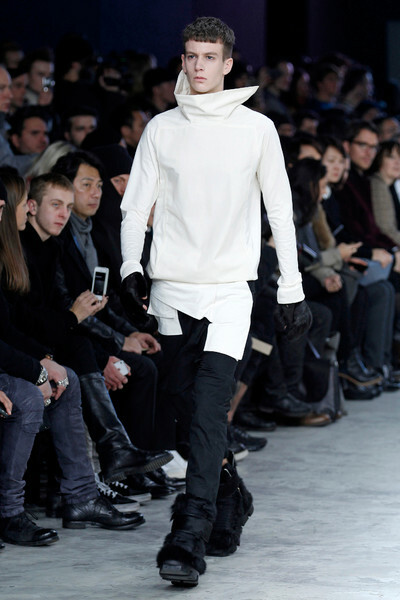 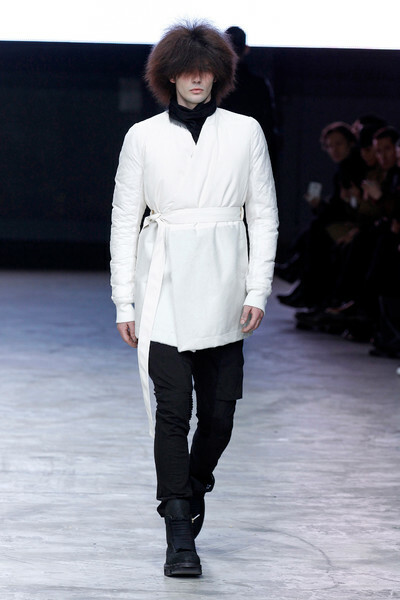 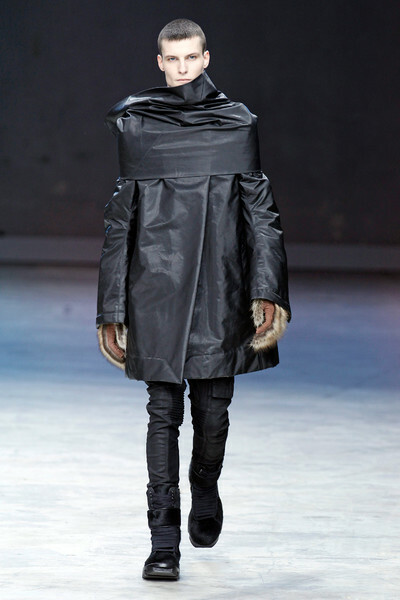 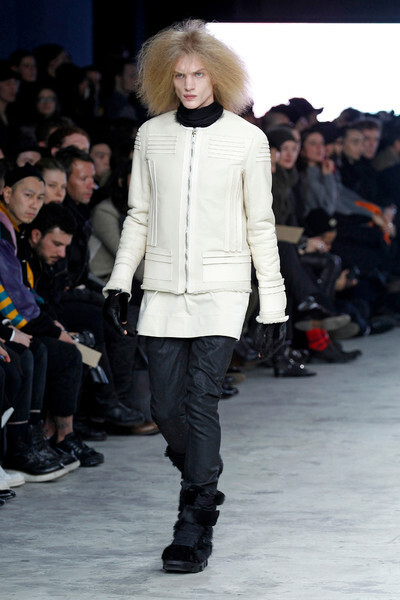 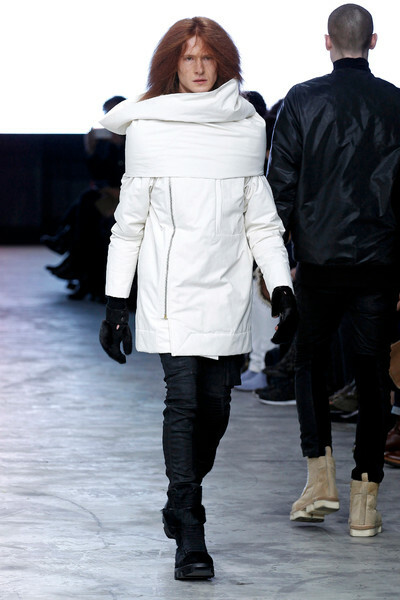 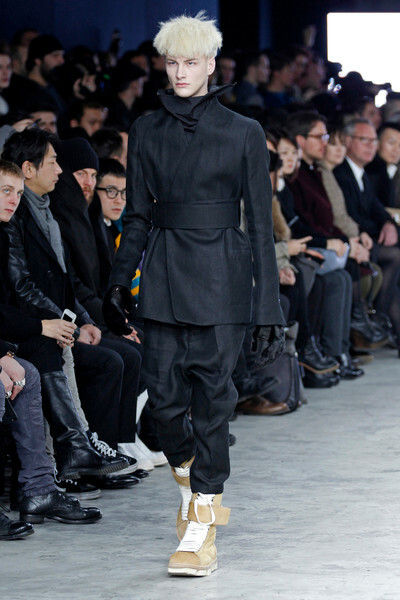 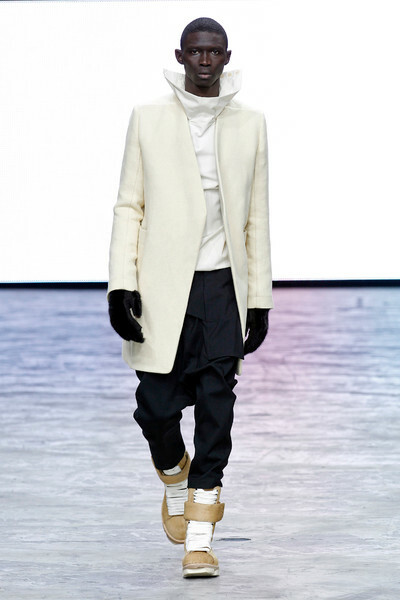 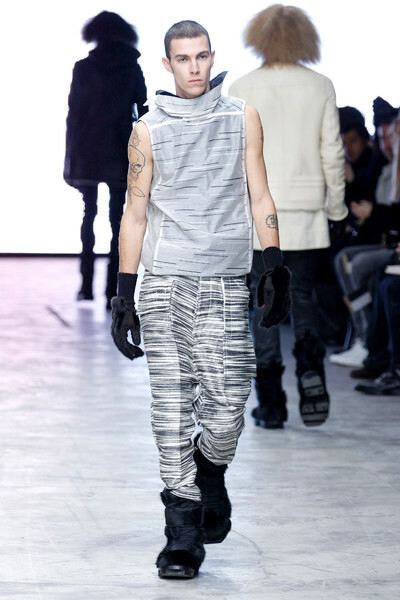 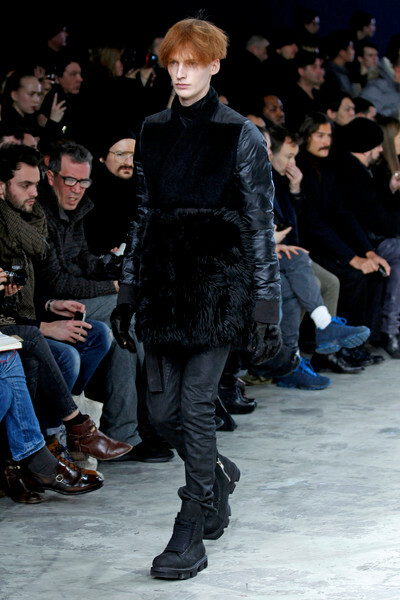 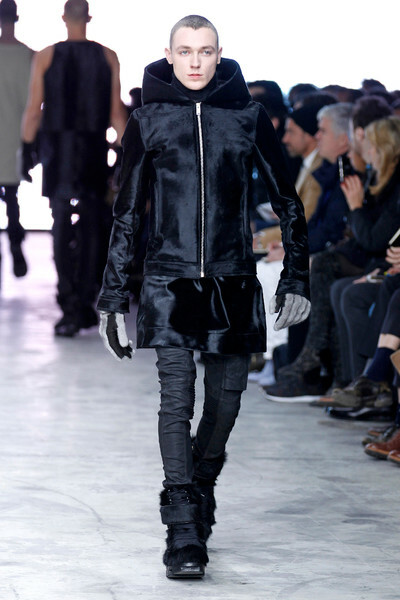 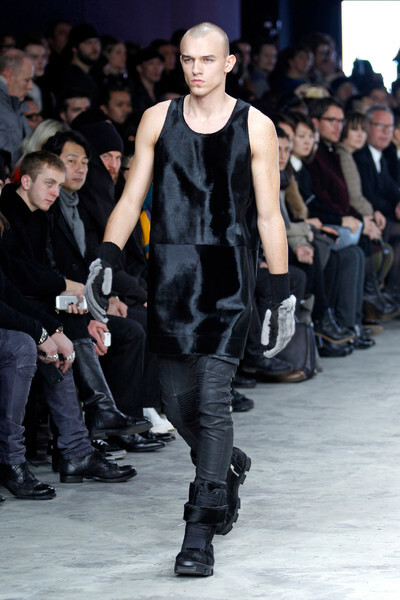 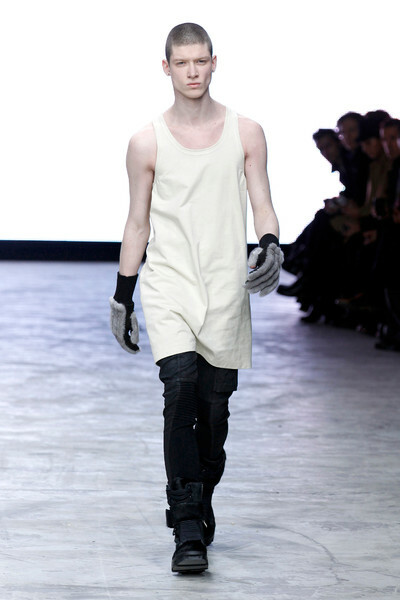 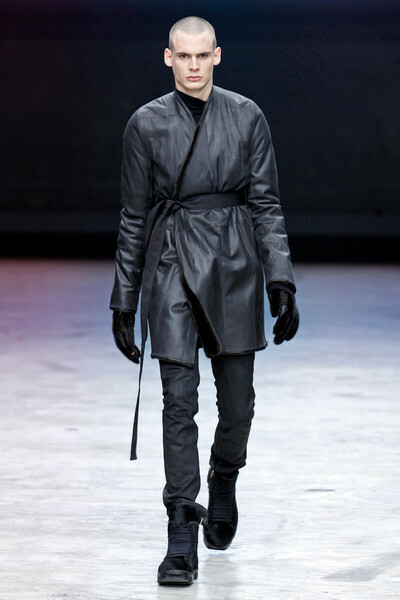 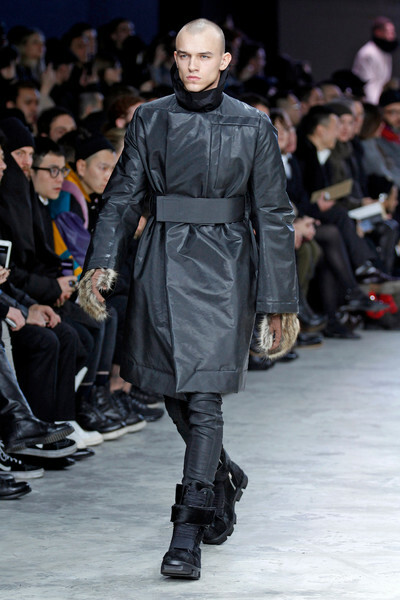 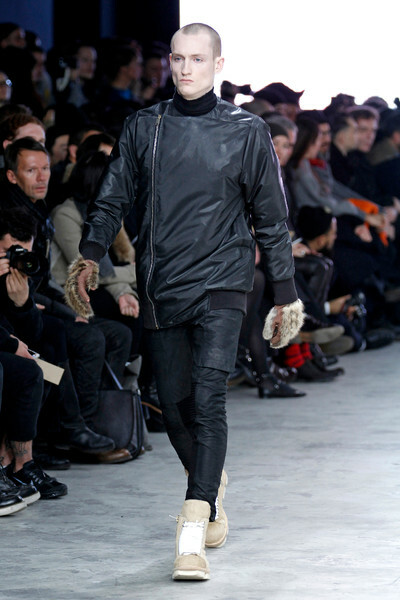 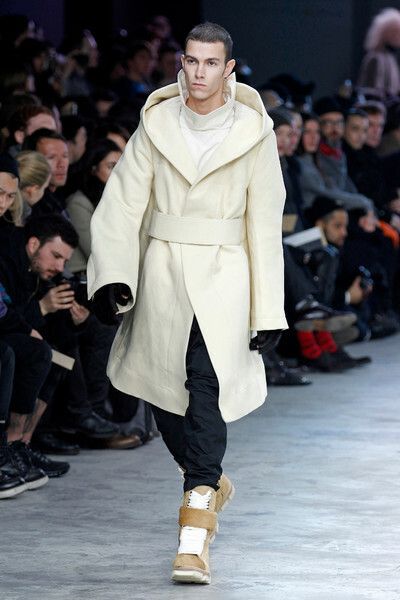 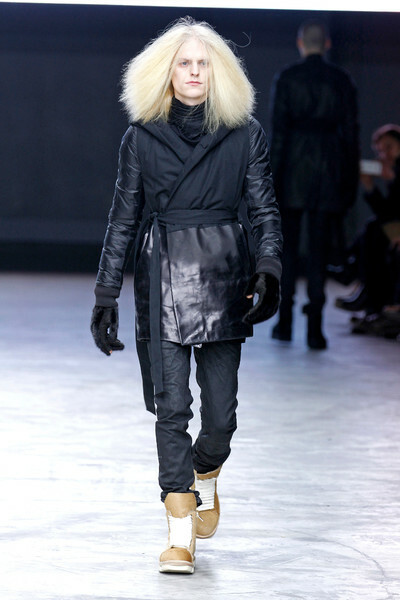 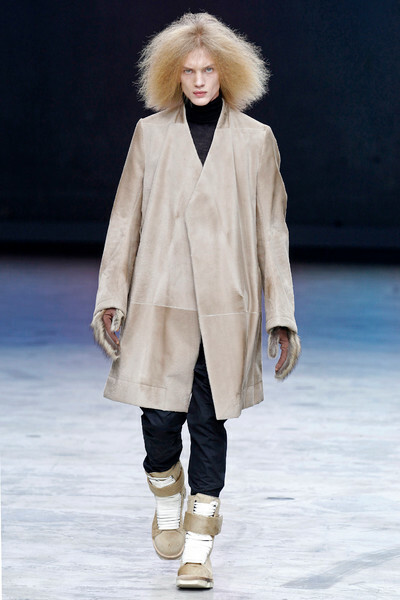 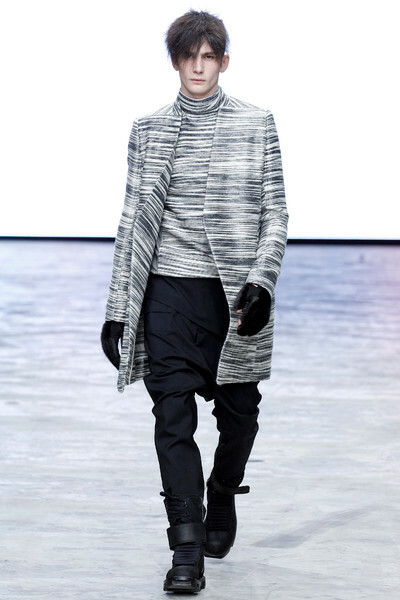 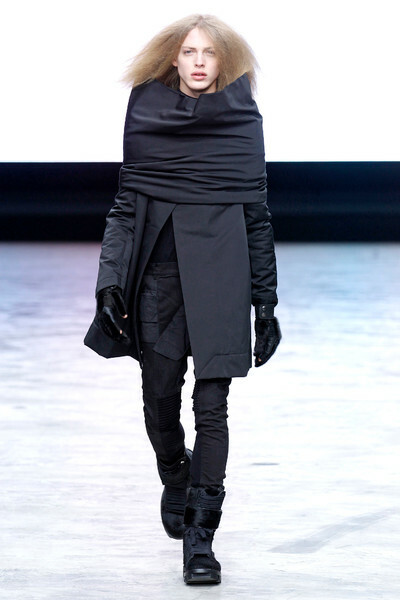 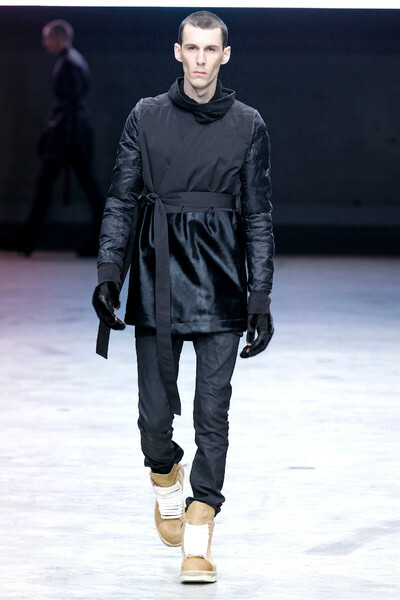 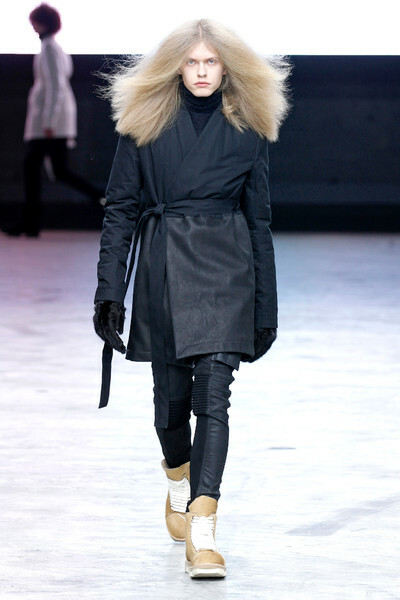 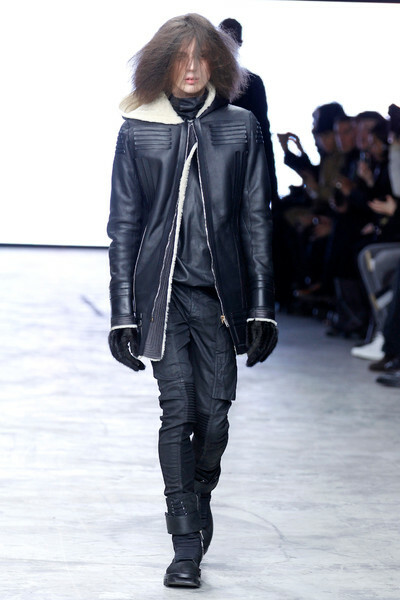 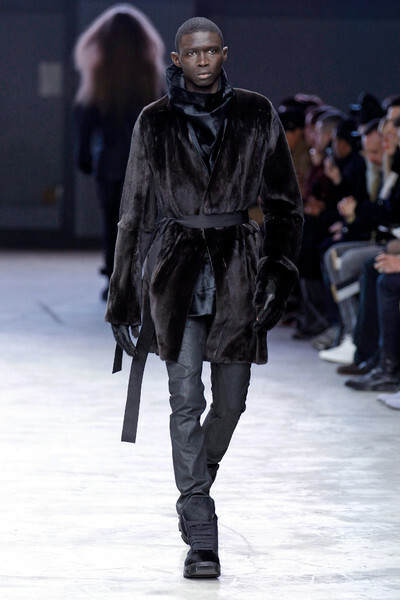 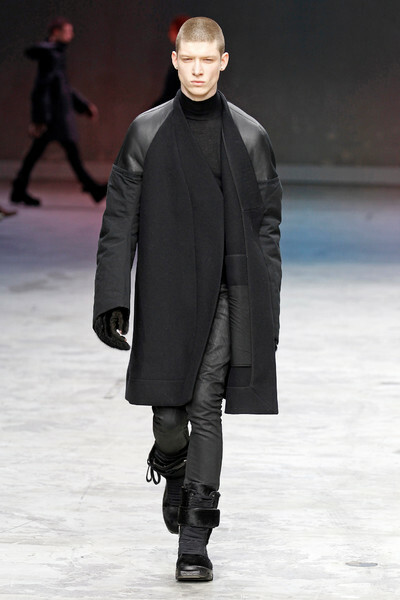 Those tank tops will need a few extra layers, yet the big collars, the hoodies and the oversized gloves will keep the toned Rick Owens man warm all throughout next winter.